Production line can realize 30 sets food trailer are produced simultaneously! We will write our account information in the invoice, you only need to take the invoice to bank payment. When you pay the deposit and send us bank slip, we will arrange production immediately after received. 3 It&rsquo;s convenient and simple for load and transport because the design is unique and individual. 5 The main material is stainless steel, and the flatform (table) will not get rust forever. if you have any question, pls contact with me at any time. Fasten: To use steel wires to fasten the large food truck in container to make sure it is stable enough. specialize in electric powered food trucks , food trailers, coffee trailers and the list goes on. 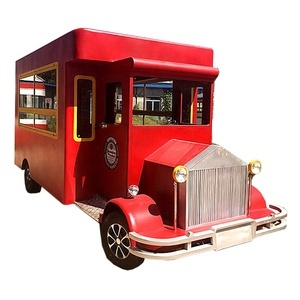 We make to order and we are able to give you construction advice while you are choosing a customized food cart. Henan Wangteer Machinery Equipment Co., Ltd.
You can sell pizza,fried chicken,potato chips,hot dogs,waffle,ice cream,smoothies,coffee,etc. We will install S/S working benches,lights,cable box,water sinks,cash drawer,sockets,non-slip floor,etc. Besides,if you want us to install an advertisement light,TV,and some other equipment,that is no problem for us. And it would take us below 5 working days at most to prepare the machines if ordering below 4 sets at one time! We can support door delivery by air or to airport only to the worldwide by DHL, Fedex or UPS, and also we can do shipment to your sea port as well. The cost is different according to your location and the machine model you choose, you can ask for more courier cost details after deciding which machine to buy. We have more than 8 years exporting experience, the great sales team can supply best service before and after sales. We want to do long term business with each of our customer, no matter big or small. They compare many factories and finally chose us as they believe our quality and service. Our products are widely recognized and trusted by users and can meet continuously changing economic and social needs. 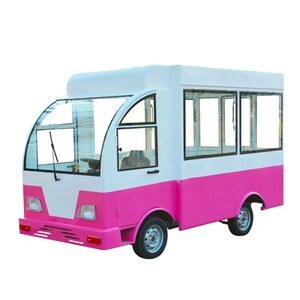 Our Advantages Our company have several years in the food trailer manufacture, with the abundant experince, high technique and professional engineers. All the products be made according to different countries standard , including wires , lights, gas etc . 1. Boday material: both sides of the material is the double-glazde steel ,high strength,lightweight,corrosion resistant,compertment temeperature,fire protection features. Related Products Our Packing & Delivery Our Company Our Service: We provide one year warranty for this food trailer, and for free for the broken parts in this year. 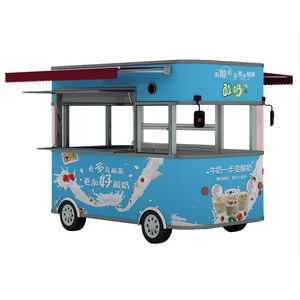 Q: Can you customize the mobile food cart 9 A: We Can customize the mobile food cart as your request Q: How long is your delivery time9 A: Generally it is 5-7 days if the goods are in stock. Zhengzhou Awisy Machinery Equipment Co., Ltd.
Shanghai Siyi Technology Co., Ltd. 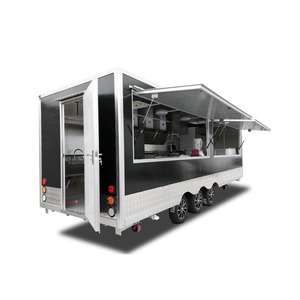 Product Name: commercial mobile food truck for Kebab Model Number: YS-FV390H mobile food truck Specifications: L(cm) W(cm) H(cm) Volume(cbm) Body Dimensions 390 210 210 &mdash; &mdash; Trailer Dimensions 540 210 250 &mdash; &mdash; Weight 1350KG Package: The whole package with EPE (Expandable Polyethylene) and Fumigation-free wooden case mobile food truck Standard inclusions: &middot; Commercial quality 304 stainless steel benches &middot; 304 stainless steel storage cupboards with sliding doors &middot; One gas lift up serving side windows &middot; Plus one gas lift up window on front side &middot; One entry rear door One Electric cash drawer and two storage drawers &middot; Double axles with Disk braking system and 4 tyres ( 4&times;15C wheels ) &middot; Sandwich panel with thermal insulating layer inside walls and roof &middot; High strength Hot dip galvanized square tubes welding chassis &middot; Suspension and frame Rust resistant treatment &middot; Tractor drawbar with safety ball headed coupling &middot; One guide pulley &middot; Dual towing chains for safety and security while towing &middot; 4 lifting jacks (extended legs) under 4 corners &middot; One 100L fresh water tank under the cart &middot; One Sullage water storage tank inside of cart &middot; Double sinks (hot & cold water) Instant electric hot water system-electric water heater 12V high flow water pump &middot; Aluminum checkered plate flooring with drain, easy to clean up &middot; LED tail and indicator lights &middot; Low voltage LED interior lighting &middot; 4 double 10A power points &middot; Earth leakage (RCD) protection &middot; One gas tank holder fixed on the front draw bar &middot; One generator box fixed on the front draw bar mobile food truck Fit-out Equipments Inside: 1) One vertical fridge for drink with lock 2) One electric hot bain marie 3) One electric cold bain marie-salad bar chiller 4) Two gas kebab machines 5) One Double cylinder gas fryer 6) Custom stainless steel range hood with fans and filters 7) One sandwich press grill 8) One drop leaf in front of window 9) LED light box for menue (5 small led light box) in front of window 10) Advertising paper (customer offer design) 11), Two business name plates on roof (advertising board) We can customize interior cooking equipments according to your requirements. 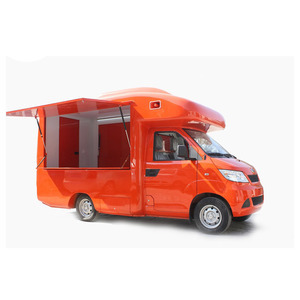 Alibaba.com offers 70,334 mobile food truck products. such as free samples, paid samples. There are 70,251 mobile food truck suppliers, mainly located in Asia. The top supplying countries are China (Mainland), Vietnam, and Malaysia, which supply 99%, 1%, and 1% of mobile food truck respectively. Mobile food truck products are most popular in North America, Mid East, and Western Europe. You can ensure product safety by selecting from certified suppliers, including 9,383 with ISO9001, 6,981 with Other, and 976 with ISO14001 certification.